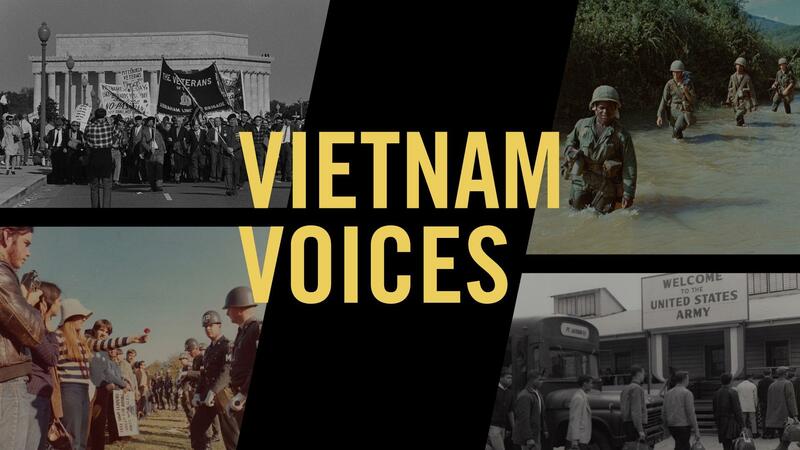 In advance of this fall’s highly anticipated PBS documentary seriesThe Vietnam War, KCPT invited students to capture the stories of local veterans, civilians and refugees who lived through the Vietnam era. Finalists from the contest were chosen in August and had the opportunity to meet Ken Burns and Lynn Novick. Although the contest is over, students can still submit films for inclusion in this project by following the steps outlined in "How to Enter." Tiffany Tu describes her experience fleeing Vietnam in 1977 in this short documentary by University of Missouri - Kansas City students. Shuxin (Amy) Pan of the Barstow School captures the story of Đa Hửu Võ, a Vietnamese man who served as a military intelligence officer in the Vietnam War. Norman Sowell describes his Vietnam experience in a film by students from Park Hill South High School. William Bennett Hume of Lee's Summit West High School shares the story of Mike Angel, a Vietnam War veteran who now serves in a different way. Jessica Blom of Olathe Northwest High School interviews Joe Bauer about his experience serving in the Vietnam War. KC Eichenberger of Summit Lakes Middle School interviews his grandfather Bob Abram about his service in Vietnam. Josh Marvine of Shawnee Mission Northwest High School interviews Charles Marvine, a Vietnam veteran, about his lucky day, April 26, 1970. In this short documentary by a group of University of Missouri - Kansas City students, William Payne discusses his experience serving in the military during the Vietnam War.